Hope you had a great weekend – although doesn’t Sunday night come around v quickly again. 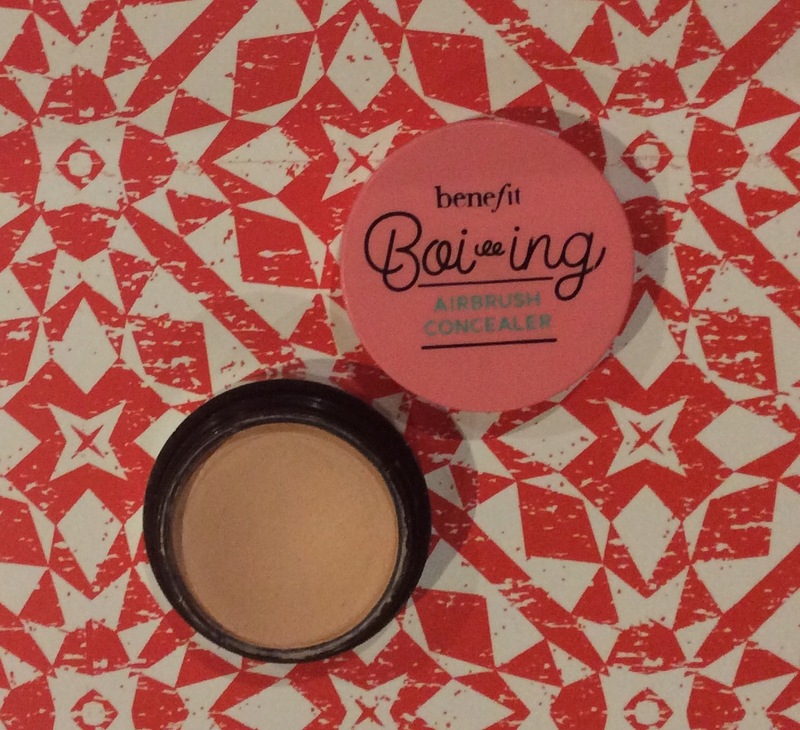 I had intended to do a short review on the Benefit Boi-ing Airbrush Concealer v soon but there is currently an offer on where you can get the opportunity to try it for yourself for ‘FREE’, prior to purchasing so decided to post now instead, more on this great offer later but now to the concealer itself. Shade No. 3 – Medium. 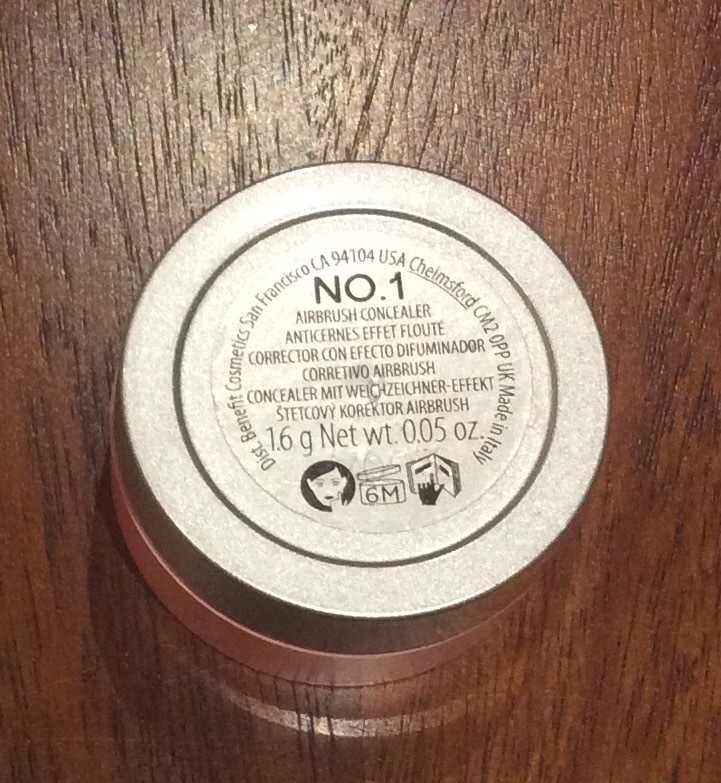 I purchased the Full Size in No 1 – light previously (photo below of deluxe sample size) and when you first see the shade initially, does not look as light as you would expect but I find it blends really well. 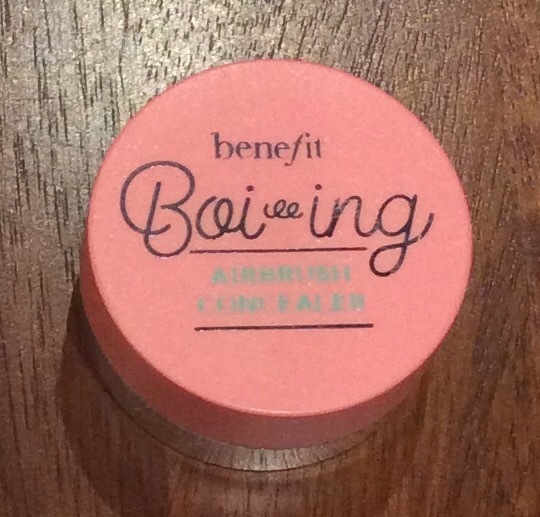 It has a lovely creamy consistency which I find applies with a creamy powder finish. I find it is better applied with your fingers under the eyes, on blemishes as this way product is warmed and blends easier does not leave any ‘harsh’ lines. Initially it has a sheer coverage but it is buildable and with a few light applications it does make blemishes less noticeable. Although states it is ‘“real-life retouch” This soft-focus, lightweight concealer covers imperfections with a flawless finish that’s virtually undetectable’ I do not totally agree with these claims as stated above although concealer is buildable you need to work at it to make imperfections/blemishes less noticeable. I prefer personally to apply over either my Collection or Sephora creamy concealers under the eyes to cover ‘darkness’ as find they work well together as when I apply the airbrush concealer under the eye alone it does settle a bit in fine lines but another way round this is to mix with a little eye cream and this helps to avoid this happening. 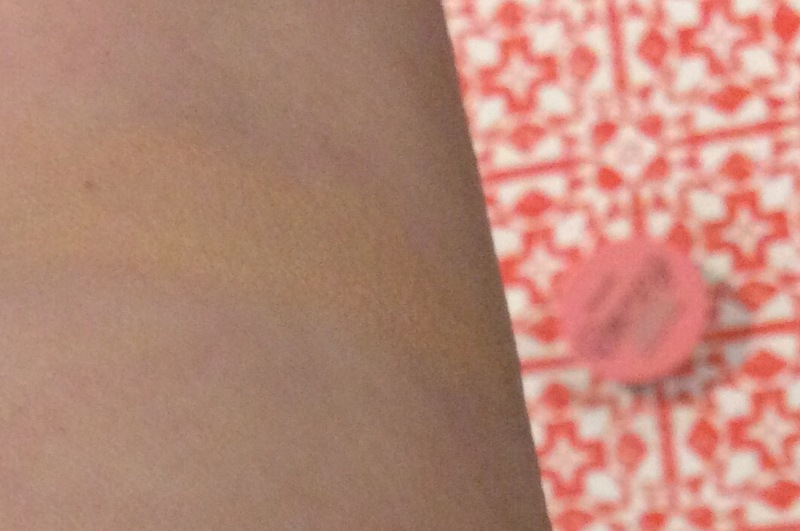 However I do find this concealer is so handy for ‘touch ups’ throughout the day, if needed. 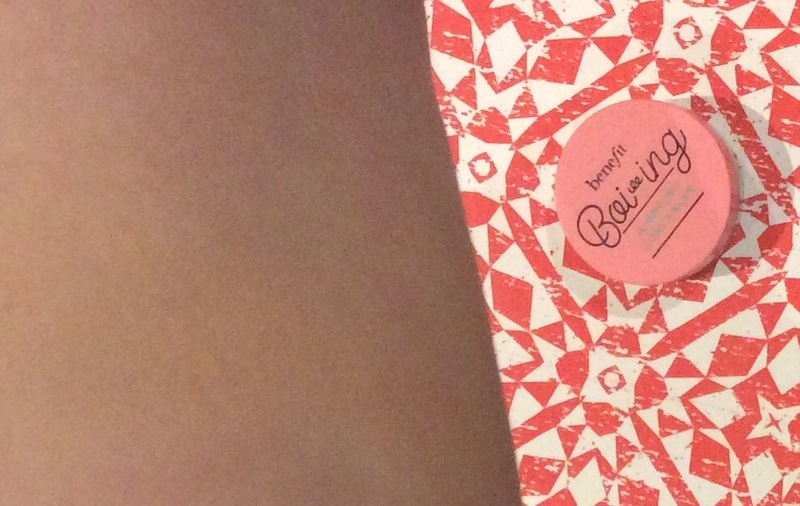 I definitely would recommend trying this concealer for yourself but as I have combination skin not sure how well would work on drier skin – however at the moment there is the perfect way to try for yourself prior to purchasing if you live near a House of Fraser store with a Benefit counter. 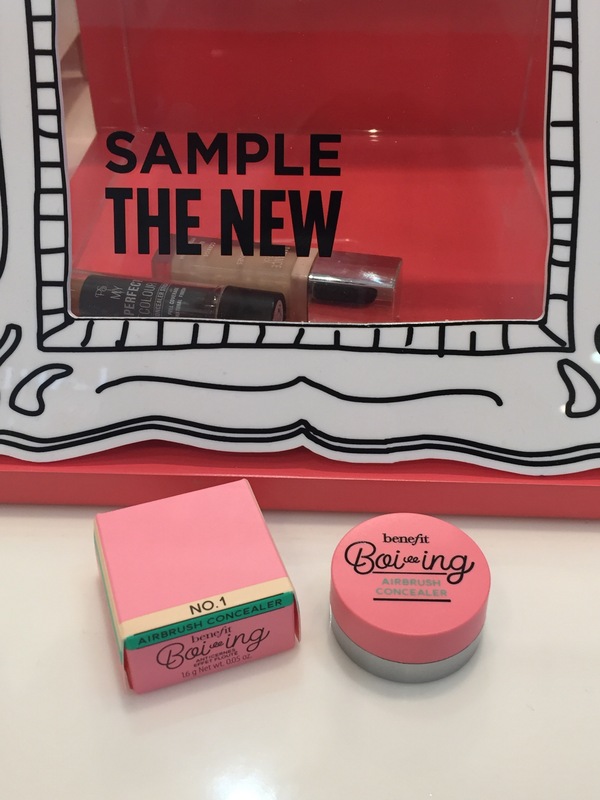 Currently you can get a FREE Boi-ing Airbrush Concealer (1.6g deluxe sample) to try when you take any old concealer from any brand to a benefit counter at House of Fraser. 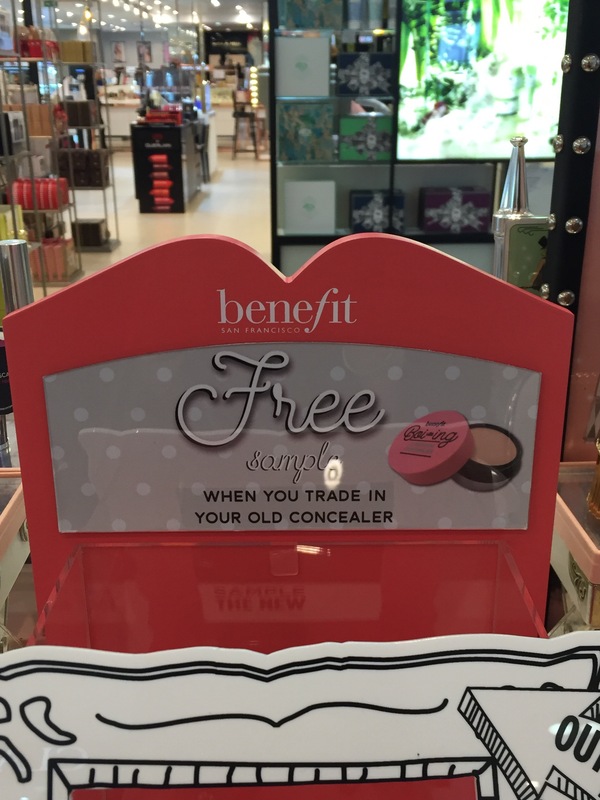 Sales assistant will just take your concealer from you and in return with give you your free sample (will last ages – see photo of it below). I think this offer is due to end on 15th October 2017, or while stocks last so the quicker you can get into your nearest House of Fraser Benefit counter the more chance the sample will still be available (if this offer finished they may have a sample slip in a ‘card’ you could try). 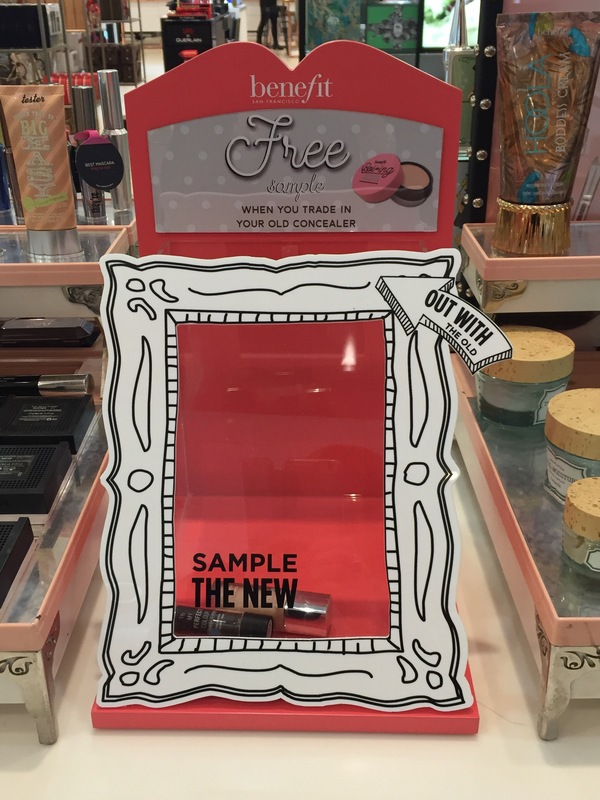 Hope this helps – love to hear if you have tried this concealer already or already got your ‘FREE’ sample to try. Thank you for looking and look forward to any comments you may have – if you are not already a follower would love you to follow my blog too – would mean a lot. Will have more posts up later in the week. Take care – Hope you all have a great week. That is a good offer.